updated the Firefox 3.7 wiki to show potential design changes for Firefox 3.7, and today, updated their wiki to show new mock ups for Firefox 4.0 Windows designs. Possibly add a Bookmarks widget as an upfront replacement for the Bookmarks menu/Bookmarks toolbar (option to turn those on would remain). The more contentious Tabs-on-Top concept. Efficiency/Remove Visual Complexity - Right now the tabs have to be connected to something. So we are adding an extra visual element for them to connect to. Breaks Consistency/Familiarity - Moving things confuses existing users. Title is MIA - With the space removed from the titlebar you only get the truncated version in the tab. Longer Mouse Distance to Tabs - Takes longer to mouse to a tab. Lost Space - Sandwiched in between the application icon and the window widgets you lose some space. Attached at the end of the location bar. Turns green when you start typing. Blends with the location bar when at rest. Turns red when a page is loading. The proposed iconography is mostly colorless. Adding color to these temporary action driven buttons will make it more obvious something is going on. I like Figure B, but not at the loss of a full title at the top. Ya, I would like to keep the file menu above. Figure B reminds me of Google Chrome's design. I hate when programs take my menus away. That's part of the reason I haven't switched to Office 2007. Personally I like the move away from file menus, they look outdated and old. I really like the second mockup, and hope the UI for Firefox does follow those lines. How is the layout going to work on Macs and Linux with the transparency added? Windows-only transparency? I think I'm fine with that. Which also makes it an Opera ripoff. The way the tabs are styled in both layouts looks very similar to how the tabs are styled in Opera 10 (sans transparency of course). And the tabs on top would be doing something that chrome already borrowed from Opera and something that Safari unsuccessfully tried to implement in Safari 4. They should stick to tabs under the address bar solely because that is what people are familiar with and drastically changing the UI could have negative effects. 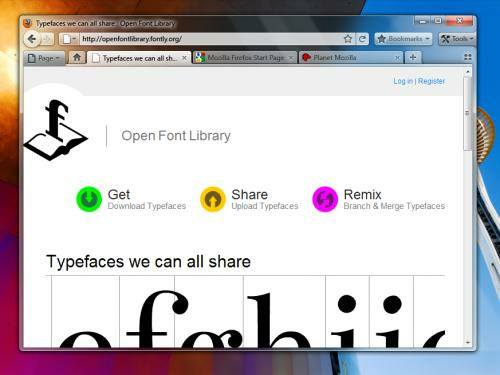 I hope the option will be there to retain the Fx 2/3 look... those mock-ups look too much like IE for comfort. I don't like the way Fire Fox downloads things, even if I am just downloading a small torrent file it gets added to that stupid list. I really think the only decent "Tabs on Top" browser design was the Safari 4 Public Beta, too bad Apple scrapped that idea. Hmm...although i'm used to the ol' File Menus, i suppose i'll have to adapt. yeah, I love the fie menus too, but I never saw any use for them in web browsers. 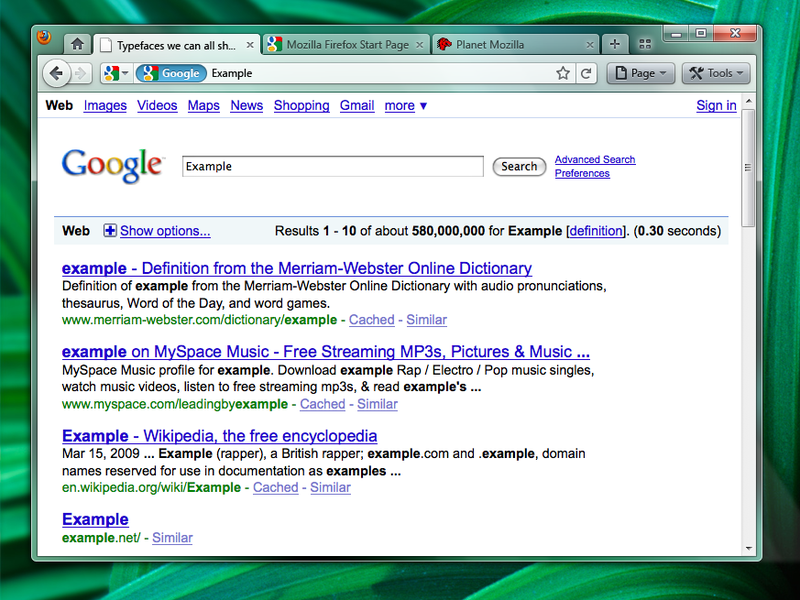 All I ever needed was Back, Forward, Stop, Refresh, the address bar, go, and of course tabs. Can you not just hit alt and it appears as it by magic? Like in explorer. I think it will end up behaving the same way Chrome does for menus. Some people are starting to make this theme available for 3.5?